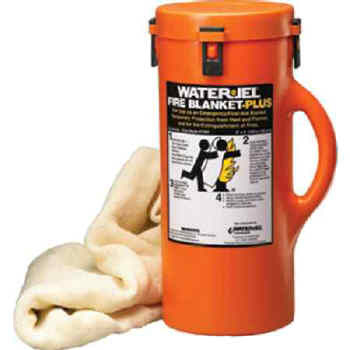 This Water-Jel® Fire Blanket is a full-size 5' x 6' blanket that’s packaged inside an orange canister. The carrying handle makes it highly portable and easy to store. Blanket can be used to cover a patient or extinguish flames. Directions for use are spelled out on the canister label.